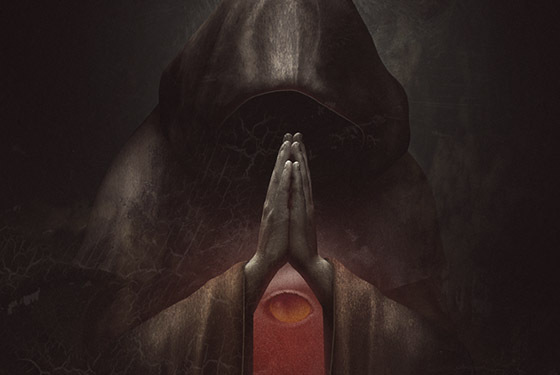 Matthew Lewis’s The Monk is one of the most notorious Gothic novels ever published. It is here presented in an ultimate format, probably the best presentation this powerful novel has ever had, with full color original artworks by David Ho, classic paintings of Hell from the Middle Ages, a bonus short story, The Midnight Embrace, and a fine and penetrating original introduction by esteemed novelist Patrick McGrath. Despite being published over 200 years ago, The Monk is surprisingly readable, its story of moral downfall and sordid depictions of greed, lust, and corruption all-too-relevant today. In an oversize 8 × 12 format with a full cloth binding, color image only on the front board, full color dustjacket on Mohawk stock, cloth slipcase, signature page, translucent overlays, full-color interiors, and other goodies. This is without a doubt the best book we have done in this series so far. Limited to just 200 signed and numbered copies. Limited to 200 copies, each signed by Patrick McGrath and David Ho. Striking dustjacket on Mohawk stock. Ribbon marker, head and tail bands, full cloth binding.